Rest does not mean you stop completely. We live in a world where rest often equates to leisure time, where there is a cessation of work and an indulgence in the pleasures of life. We long for the day we “retire” and don’t have to work anymore. Or dream of having enough money to never have to work again. Rest as the world understands it, means to STOP all work, STOP everything. The rest that God is speaking about is not stopping completely, but pausing long enough to hear from His heart, pausing long enough to locate yourself within God and His agenda and will. Pausing long enough for your own spirit to breath and your body to catch up. 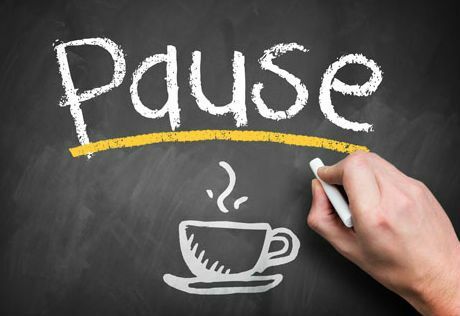 Pausing to reconnect your spirit to the Spirit of God. Which means that everyday can and should have rest. Everything thrives after a season of stillness, a pause. We will always have work. Resting is not about stopping our walk with God, it is about taking a pause IN our walk with God. We still take steps of faith and we trust that God will cause what needs to happen at the appointed time. For me, it takes the pressure off “making things happen” and taking a breather to remember that God is the one who makes things happen. The enemy wants us to stop completely. He will tell you to slow down, you do too much. Don’t take anything on, don’t believe, it’s not worth it. But if we want to see our circumstances change and impact the world, we will need to take the next steps. 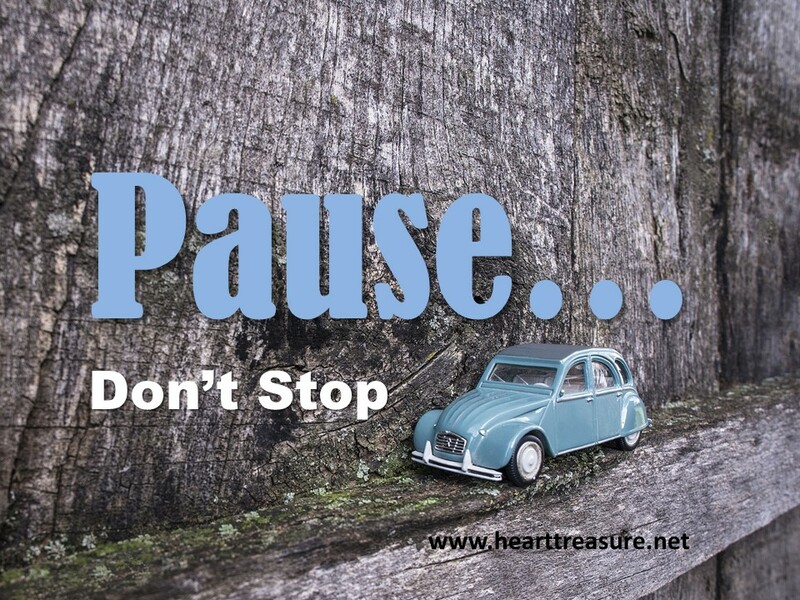 God wants us to pause long enough, so that the next steps are steps of faith i.e. God steps. How will we know what those steps are, if we don’t pause long enough to find out? This is for me the rest that is found in pause. Pausing to once again reminding ourselves of our partnership with the Lord in our relationship with Him. 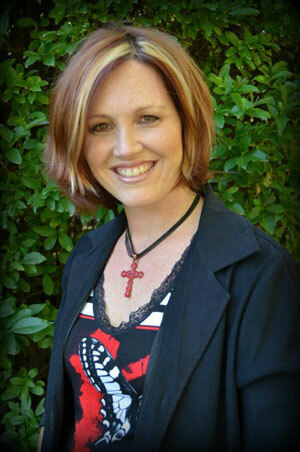 We are yoked with Him, and He is the one leading the work. It is not the cessation of all labor, but rather, in relationship, that same wearisome work finds meaning, productivity and purpose. 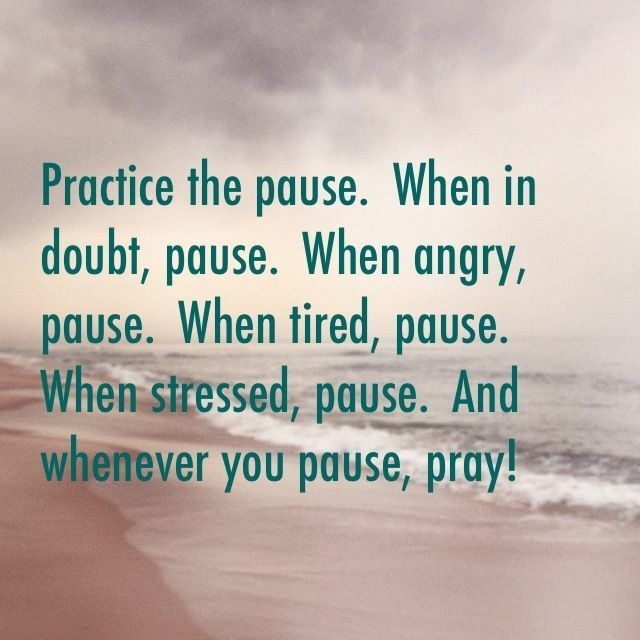 Thank you, Father, that at any time in the day, I can pause and reconnect with You. You are the one who orders my steps and appoints me to the work I do. You are the one who determines the outcome of my efforts and at all times, you are in control. Thank you that I can rest in Your sovereignty. Thank you that I can trust You. I can rest by partnering with you for life. 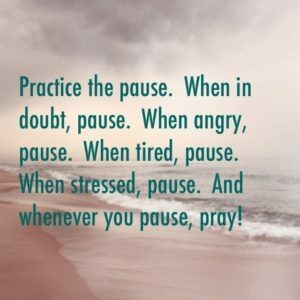 Help me to pause in the day, to reconnect my heart to yours in partnership.